Read more by Russell McLendon on Mother Nature Network here. Muskrat trapping has been part of the meadowlands ecology for centuries. A hundred years ago, you could find 40 or 50 trappers active throughout the November-March season. Today that number may be as low as half a dozen. In this week’s South Bergenite you can learn more from one of the last of the local trappers, in my first installment of Nature Next Door. The Bergen Record had an alarming story on Wednesday about a significant decrease in the Bergen County bat population. We at the Meadowlands Commission would like to start monitoring bat populations in our 14 municipalities. At least one municipality — Ridgefield — is putting up bat houses (left) in hopes of attracting these beneficial mammals next spring or beyond. A tip of the NJMC hat to Ridgefield. If you know of a roost, please e-mail Jim Wright. The Record's story is here. 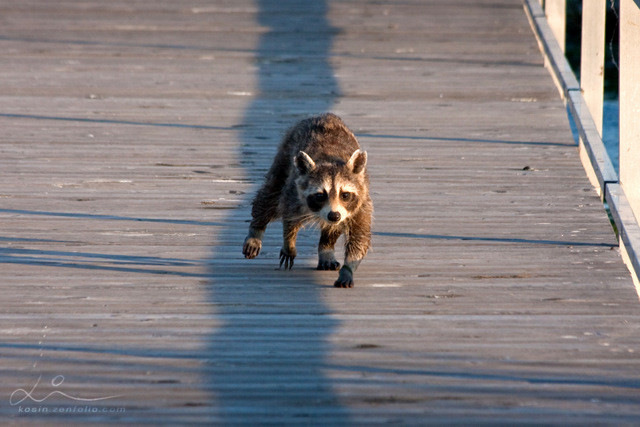 We don't see that many raccoons at DeKorte, so it was nice to see this recent photo from Izabela Gard. Conservationists know a lot about the Meadowlands and its recovering environment, but one of the missing pieces to the puzzle is an understanding of how many bats live in the Meadowlands, and where. Bats are key parts of New Jersey's eco-system, and they may be in peril because of something called "white-nose syndrome." 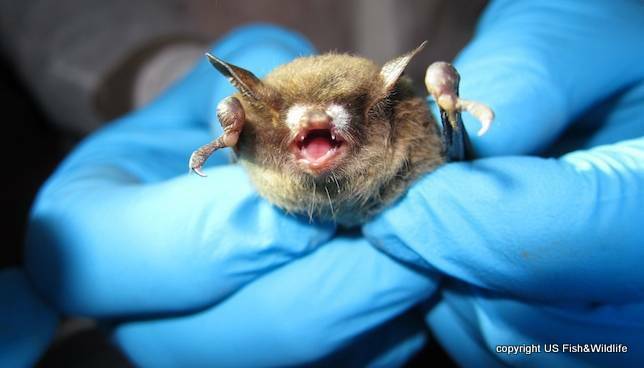 Download New Jersey Bat fact sheet. Each year, the state, in conjunction with the Conserve Wildlife Foundation, recruits citizen scientists to take bat surveys statewide, and this year is a great year to include the Meadowlands. Do you know where bats are roosting in the Meadowlands? If so, you can help by taking two bat surveys at dusk between now and mid-August. 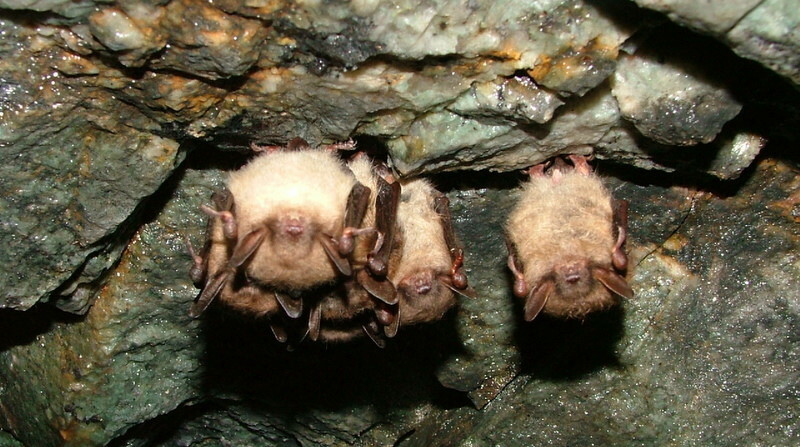 Download N.J. Summer Bat Count letter to volunteers 2009. Download N.J. Summer bat count datasheet 2009. 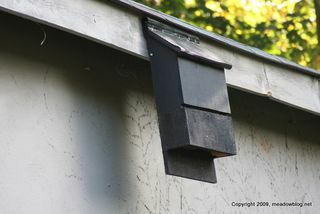 If you know of a bat roosting site but do not wish participate, e-mail us here. Likewise, if you wish to participate but do not know of a site, e-mail us, too. We’ll figure out something. This guy was near the walkway across from the first visitors parking lot one afternoon at DeKorte last week, totally oblivious of humans. Just wanted to help cut the grass, apparently. 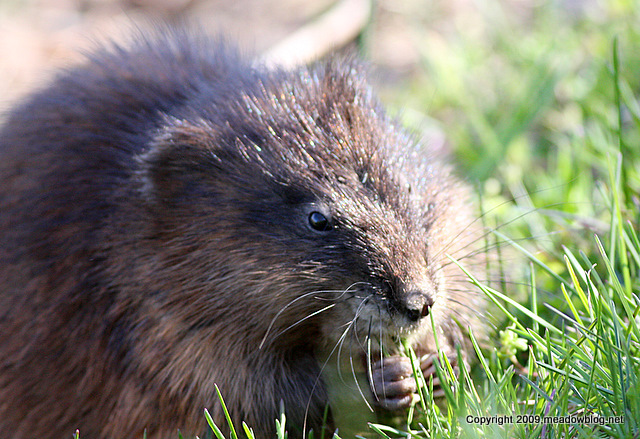 Muskrats were once a prime target for trappers in the Meadowlands. We will post some of their stories on our upcoming oral history blog. 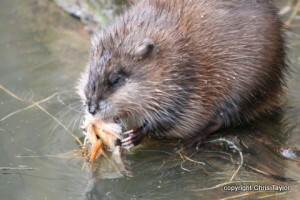 More on Muskrats in this region here. For a look at an old newspaper clipping about Muskrat hunting in the Meadowlands, click immediately below. We saw this guy by the Carillon on AMVET Way in North Arlington the other day. We call it a Muskrat. The larger raptors call it lunch. This video features a woodchuck looking out of its den on a path in DeKorte Park in Lyndhurst, when Junior butts in. 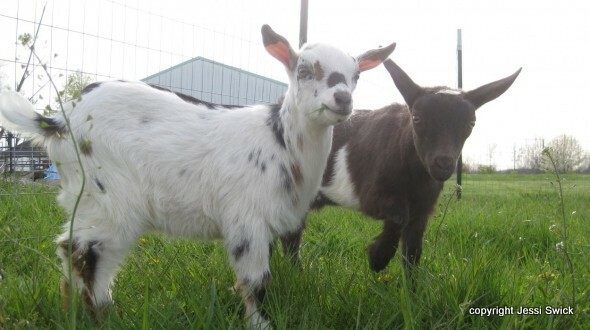 For more information on this abundant Meadowlands mammal, click here. Note: I realize that it is a bad idea to take hang out in front of birds’ nests or mammals’ dens in an effort to get a family portrait. The animals feel threatened and cannot escape. For this video, I used a trick I learned minutes earlier from a professional cameraman: You put the video-cam on a tripod not too far from entrance, hit "record," and walk away.